Many of Clarity’s satisfied clients use DotNetNuke website design as their Content Management platform of choice; the interface is easy-to-use, customizable, and low-cost to free-of-charge. Because of this, if our clients ask us for a recommendation, we choose DotNetNuke. 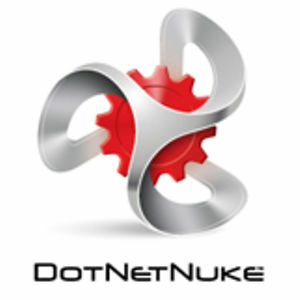 That’s why we’re especially excited about DotNetNuke 7, the latest version of the popular CMS platform. Read on for an overview of new features and updates. DotNetNuke 7 makes it easier than ever for everyone, from developers to business managers, to update their website’s content. This is accomplished in part by the introduction of a new control panel with a more intuitive, personalized menu. The “drag and drop” function is also easier than ever to manage, allowing users to manually arrange content on the page with the click of a mouse. Finally, an autosave feature and Version Compare ensure that you’ll always be able to keep tabs on your work. The “drag and drop” function is also easier than ever to manage, allowing users to manually arrange content on the page with the click of a mouse. There are a number of other new features in DotNetNuke 7 to get excited about, from new skins (templates) to usability features. One the features that Clarity is most excited about is the ability to share entire DotNetNuke modules across multiple websites within the same DotNetNuke instance. This means if you manage multiple eCommerce storefronts, location pages, or websites, you can keep information and design consistent across the board. While Clarity can help you integrate your DotNetNuke website into any system you need, from ERP to Quickbooks, the DotNetNuke updates ensure that it is particularly easy to integrate with certain platforms. This is good news for the customer, since it means an overall reduction in development time. For example, DotNetNuke 7’s easy integration with Active Directory now simplifies the user authentication process and allows for easy single sign-on across multiple sites. Meanwhile, enhanced Sharepoint integration and support allows for the streamlined, organized transfer of documents between Sharepoint and your website. Contact Clarity today if you’re interested in integrating your website with this exciting new platform.